Need Just A Few Traffic Cones? When I tell people about my business and what I sell, the first response is usually asking if I can sell them a few traffic cones as they want one for their apartment, dorm, a race in their backyard etc. While I (and I am sure other traffic safety vendors) would love to be able to sell small quantities, the manufacturers don’t. They want to sell 100’s at a time! So here are a few resources for finding those 1 or 2 or 5 cones. First try your local home depot, I have seen them sold as single units and for not a bad price! 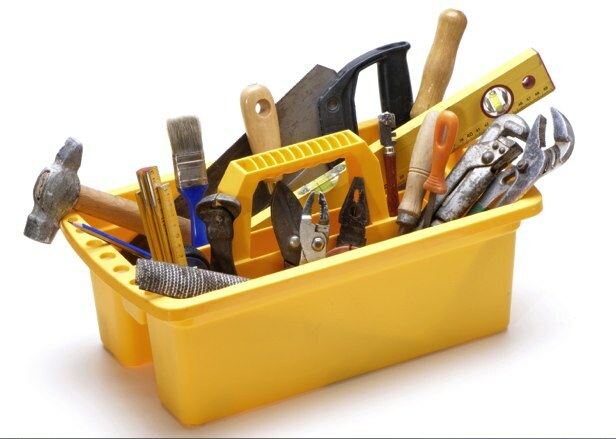 If you don’t have a home depot or they are all out, try your local hardware store. Even a mom and pop shop (like what I have in my hometown) could carry them because utility companies, the local police, cable companies and more all need small quantities at different times. Need your cones to be colored? Well now it gets a little more difficult. Obviously they typically come in orange. To find fluorescent green, pink, red etc you will most likely have to look online. To find a company that doesn’t have a minimum order look for those that keep their products in stock. That way the manufacturer’s don’t have to be hassled to send out 3 green traffic cones. And finally, if you live in a big city (New York City, LA, Chicago) there is most likely a brick and mortar traffic safety company within the city. I don’t imagine minimum orders apply there. If you happen to need 10 more more we can help you out! Come to our website www.trans-supply.com and shop around! 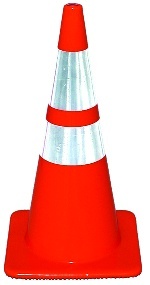 Plastic Products: When your plastic products (such as traffic cones, plastic traffic barricades etc) are stored, try to keep them out of direct sunlight. This will help to stop the breakdown and fading of the PVC plastic and reflective sheeting. Otherwise the sheeting will become brittle faster. 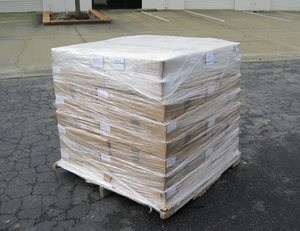 Wood Barricades: If your wood barricades are in shrink wrapped pallets keep them in a dry place. This is because if the pallets end up getting wet and don’t have a chance to dry the dampness will turn to mold ruining the barricades. If you are going to put them in storage, you must remove the shrink wrap. Stacking products: Most traffic safety products (besides delineators) are stack-able with or without the bases attached which saves a bunch of space. However the weight of the bases can cause the products to get stuck together depending on a) the weight of the base and b) how long they have been store for. Okay I guess a traffic cone showing up at a party wouldn’t be the weirdest thing.. but they are certainly used in the weirdest ways. Looking for a quick Madonna costume? Take two traffic cones and tape them to your chest. We’ve even seen a person paint themselves black and attach cones to them as a street costume. They can also be used as a fun party game in a backyard as an obstacle to jump over, around and even on. Hey, whatever floats your boat. You’re heading to the beach and you’ve got your sunscreen, towel, beach ball and music. But do you have your traffic cones? Everyone likes fun beach soccer game and cones make the scoring more official. Cones could also be used to make sand castles, hold drinks and mark your territory. In this economy, who isn’t looking to save money? Cones can be used like funnels would be used in a bakery setting. Looking for a tool to squeeze frosting out of? How about an easy way to separate egg whites? A small cone might be what your bakery is missing. It’s hard to find unique furniture. There is no shame in using a traffic cone as home décor like as a lamp shade, flower pot or table stand. It might not always be the most attractive piece of furniture but it will always be the brightest.